Greetings from Boston's South Shore and welcome to Clergy Confidential! I hope you'll find this blog a source of inspiration, laughter, and delight in the Lord. 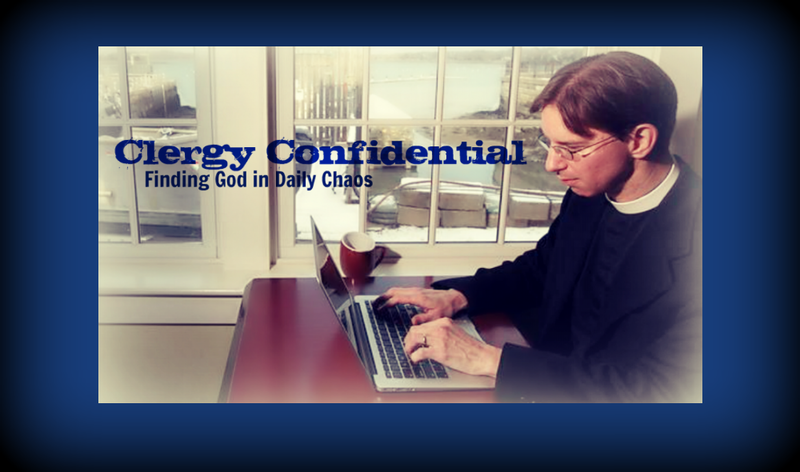 I first started blogging in 2007 under the name Clergy Family Confidential. Really, the subhead said it all: "Finding God in Domestic Chaos." I changed the title to the more streamlined Clergy Confidential in May 2014 as a reflection of our evolving domestic stage of life -- two teenage boys. I’m an Episcopal priest, a syndicated columnist with GateHouse Media, author, and rector of the Episcopal Parish of St. John the Evangelist in Hingham, Massachusetts. 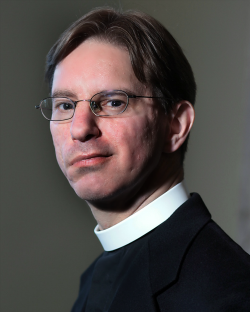 Ordained in 2000, I've also served parishes in Maryland and New York and am the creator of Lent Madness, a wildly popular online Lenten devotion. I've written four books over the years, with a fifth book titled Holy Grounds: The Surprising Intersection Between Coffee and Faith -- From Dancing Goats to Satan's Drink (Fortress Press) due out in early spring of 2019. I never post sermons here, though if you're interested I house them at @FatherTim Sermon Vault. Mostly this is for my own cataloguing purposes but you can still subscribe by e-mail. I live in the St. John’s Rectory with my wife Bryna, our boys Benedict and Zachary, Delilah, our 14- year-old yellow lab/husky mix and Cooper, a basenji/German shepherd mix. When not tending to my parish, hanging out with my family, writing, running, building community on social media, or plucking away on my beloved 1986 Fender Stratocaster, I can usually be found drinking good coffee. Feel free to follow me on Twitter (@FatherTim) or friend me on Facebook. Oh my, Fr. Tim!!! You ARE a busy body.. I'll try to tag along in cyberspace. Wish I'd met you 60 years ago. I enjoy your remarks and style. Love this! Thanks for the laughter and inspiration! I'll be a regular reader for sure. This seems so informal since we have never met. However, it is a little more private than the other ways to send a message. Are you the author of "Forallsaints"? I used to read it daily and enjoyed learning about saints posted for their days. The last Saint? was Samuel Seabury. There has been no one since. I do hope this not a permanent choice, not to write about a saint a day. You (they) have at least one fan. My wife is an avid, not to say rabid, follower of Lent Madness. We're both members of the Society of the Companions of the Holy Cross, the group of which Vida Dutton Scudder was an important, early member. For a recent meeting, my wife wrote a skit about Vida causing trouble because she was so pissed off at losing to Constance. It was hilarious.